""Thank you Lever for creating such a beautiful logo and website. We couldn't be more pleased." Identity Design Update, Slogan Creation,Website Design, Stationary Design and 12-Month Marketing Action Plan. 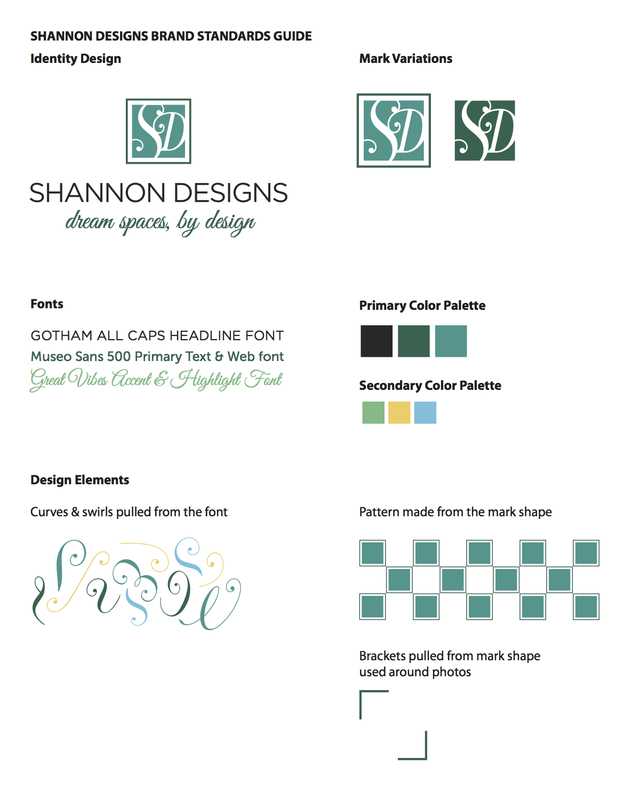 We were thrilled to get to work with Trisha Shannon of Shannon Designs out of Yukon, Oklahoma. Her creativity and eye for design made her an easy client! 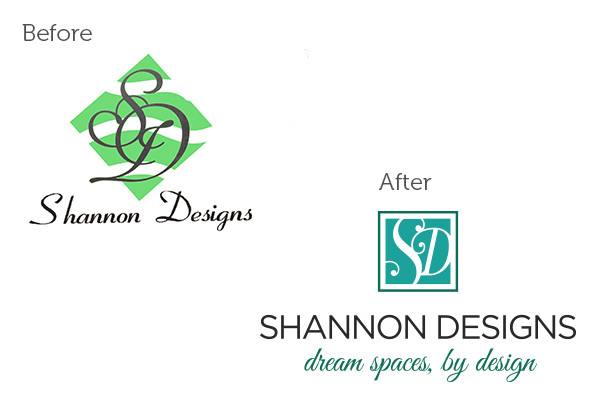 We updated their original logo to visually take her brand from "side hobby" to "real bonafide business"! The slogan was drawn from our brand discovery session which revealed Trisha's best service, whole-space design solutions. 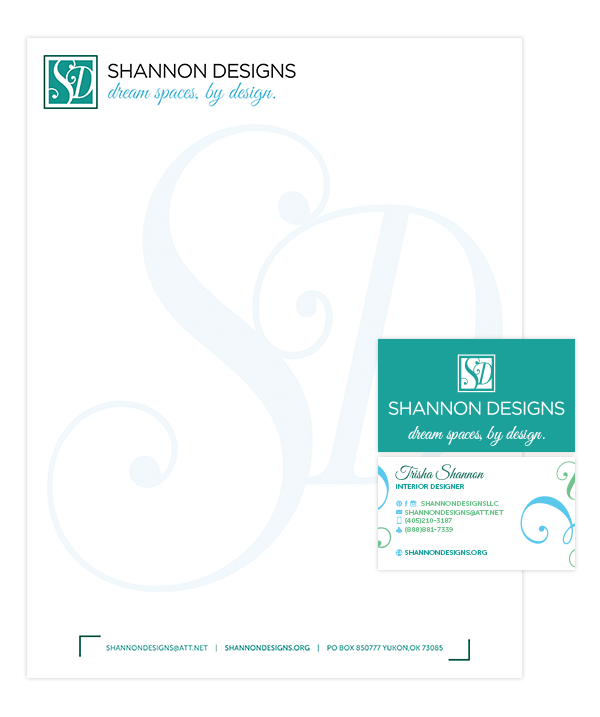 After completion of the identity we created additional brand elements, stationary, worked on some copy points for her website, and created a step-by-step 12-Month marketing plan for her to easily execute. 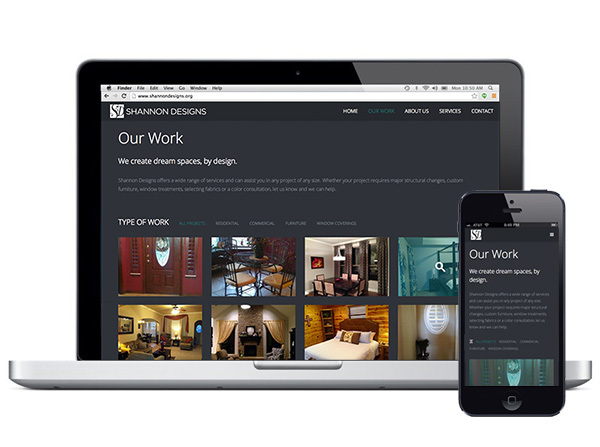 We made sure that her mobile-ready website could handle a dynamic gallery of images of her work. 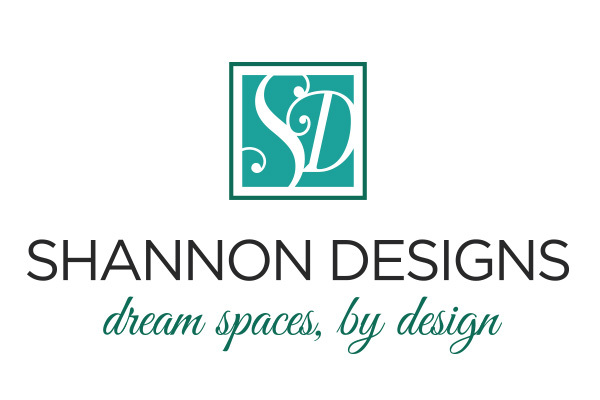 If you are an Okie in need of custom interior design work, custom furniture, or custom shutters, give Shannon Designs a call!